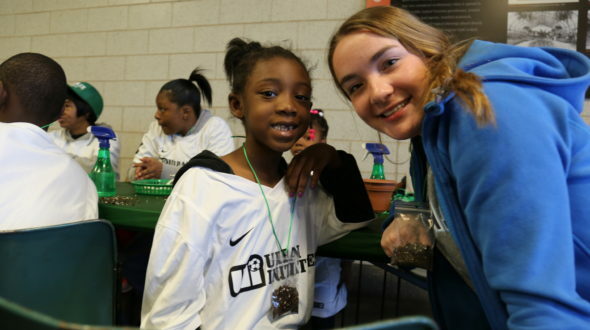 Urban Initiatives in partnership with the Garfield Park Conservatory and the Chicago Park District hosted the inaugural Embrace Chicago Cup on Saturday, April 9th. 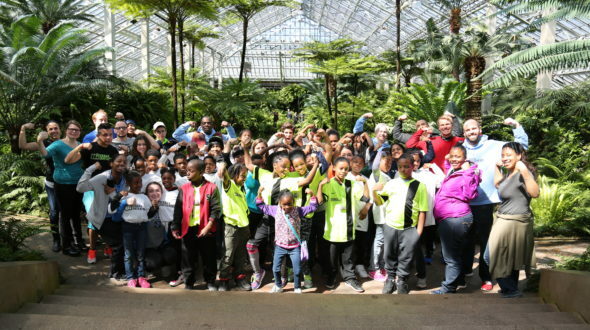 Six Urban Initiatives partner schools from four Chicago communities gathered for a day of exploration at the Garfield Park Conservatory, soccer games, and lunch at the park district. 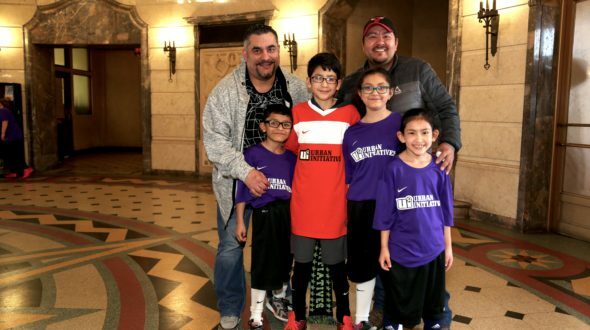 The Embrace Chicago Cup is a unifying event for diverse Chicago communities to bridge geographic differences and utilize resources of the Garfield Park community. 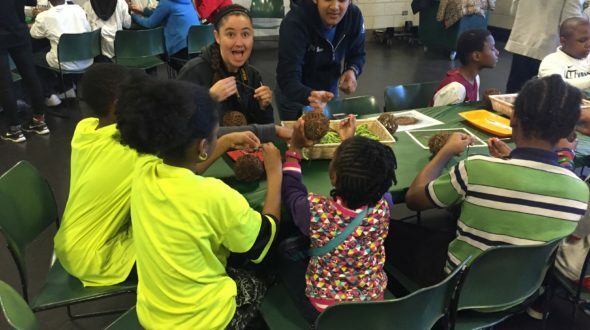 The Embrace Chicago Cup provided a platform for Urban Initiatives partner schools and their families to celebrate the community assets within Garfield Park as well as engage in physical activity in safe spaces. 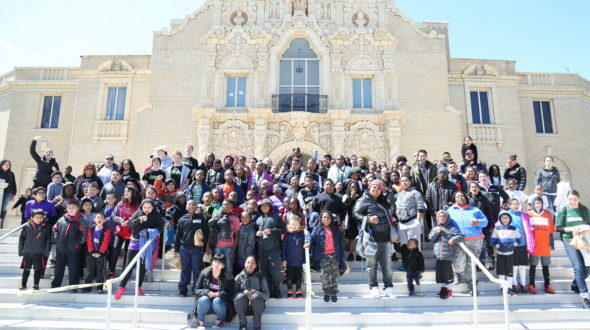 Garfield Park schools: Faraday Elementary, Beidler Elementary, and Morton School of Excellence along with Providence Englewood Charter, Lawndale Community Academy, and Goethe made new friends and explored a new Chicago community. 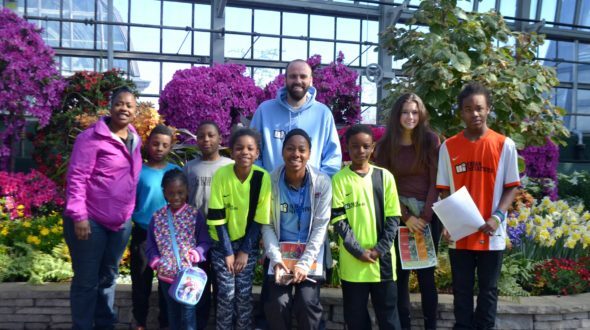 Urban Initiatives was proud to give Nicholas Colvin a member on the Board of Directors for the Garfield Park Conservatory and huge thank you and small gift. 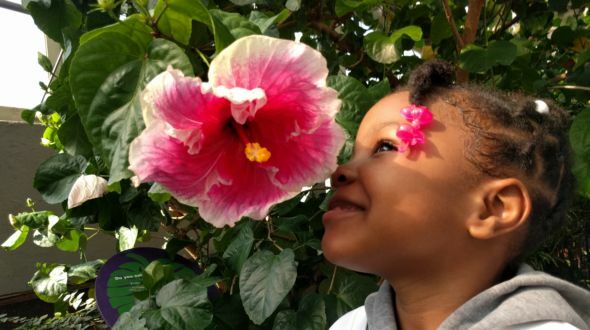 Additionally we would like to thank our event partners: The Garfield Park Conservatory, the Chicago Park District, and Limelight. 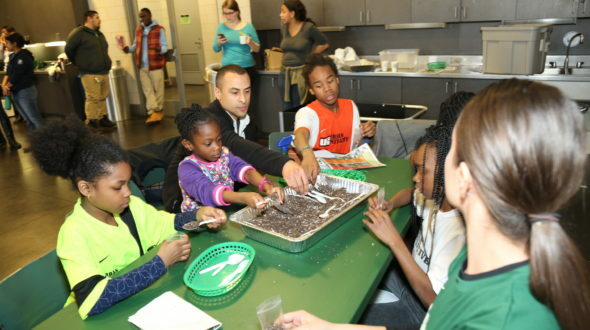 Specific thanks to Audrey Sherer of GPC, Tim O’Connell and Jim Hobson of the CPD, Gregory Perrine and Eliza Barasa of Limelight, and the Urban Initiatives Student Board volunteers that came out and shared this wonderful experience with our kids.